ABC has released some preview images and a description for the Tuesday, October 11 episode of Marvel’s Agents of S.H.I.E.L.D..
As Coulson, Mack and Fitz attempt to track down and neutralize a rogue group looking to end Inhuman Registration worldwide, Simmons and Dr. Radcliffe only have hours to save May before she succumbs forever to her mysterious illness, on “Marvel’s Agents of S.H.I.E.L.D.,” TUESDAY, OCTOBER 11 (10:00-11:00 p.m. EDT), on the ABC Television Network. 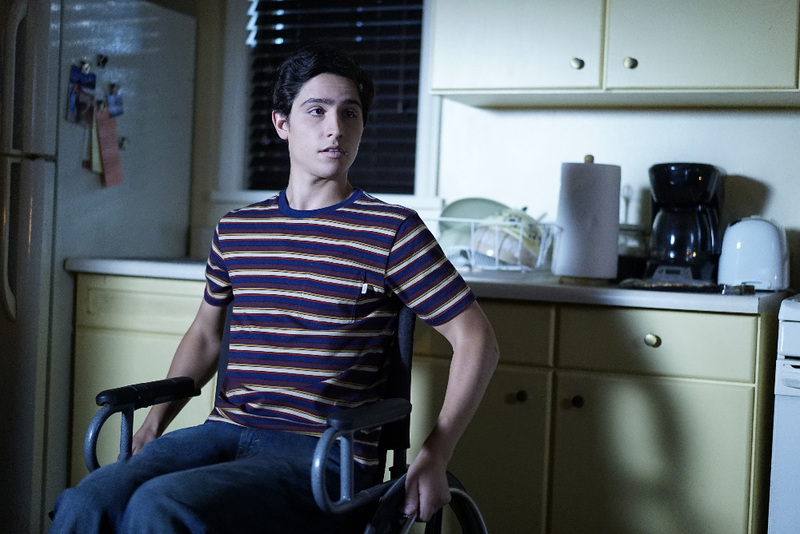 Guest starring are John Hannah as Holden Radcliffe, Natalia Cordova-Buckley as Elena “Yo-Yo” Rodriguez, Jason O’Mara as the Director, Gabriel Luna as Robbie Reyes, Mallory Jansen as Aida, Parminder Nagra as Senator Rota Nadeer, Alexander Wraith as Agent Anderson, Lorenzo James Henrie as Gabe Reyes, Patrick Cavanaugh as Burrows, Ricky Saenz as pistol punk, Devon Libran as slugger punk, Valery Ortiz as Maria, Derek Hughes as The Amazing Mertz, Preston Flagg as Darryl, Stephanie Maura Sanchez as bridesmaid #1, Jen Kuo Sung as Chen, Dale Pavinski as Briggs, Michael Cory Davis as agitator, Aaron Gaffrey as mystery figure and Adriana Diaz as hostage. “Uprising” was written by Craig Titley and directed by Magnus Martens.